A massive project to construct a new passenger terminal at the Ibrahim Nasir International Airport has been awarded to the Saudi Binladin Group for an undisclosed amount. The Saudi Binladin group has been awarded a massive project to construct a new passenger terminal at the Ibrahim Nasir International Airport for an undisclosed amount. 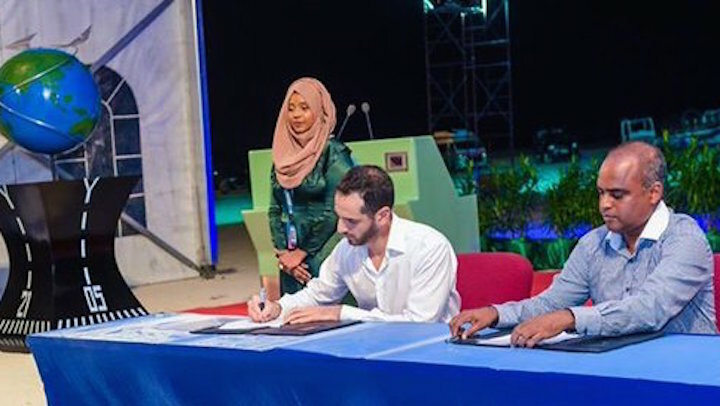 The state-owned Maldives Airports Company Ltd signed a contract with the Saudi construction giant last night. Speaking at the ceremony, MACL Managing Director Adil Moosa said the new terminal will be built on reclaimed land in the southwest of the airport island. With a floor area of 78,000 square meters, the new terminal will have 40 departure checking counters, 38 immigration counters, 12 jetties, and six aero-bridges. President Abdulla Yameen inaugurated a monument for the project at the commencement ceremony. 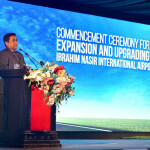 Yameen had unveiled an ambitious plan last month to develop the airport with US$800 million worth of foreign loans. The government in December secured a US$373 million concessionary loan from the Chinese EXIM Bank and enlisted China’s Beijing Urban Construction Group to build a new 3.2 kilometre runway, a fuel farm, and a cargo complex. At a ceremony held earlier this month to mark MACL’s 50th anniversary, Yameen said the government has raised finances for the airport expansion through the Kuwait Fund, Abu Dhabi Fund, and the Saudi Fund for Development. “I am happy to announce that we have overcome the last obstacle, and syndicate’s main funding, God Willing, has been arranged today,” he said. The rest of the funds will be arranged through the state budget, he said, adding that drawings for the terminal building have been completed. The airport will be able to cater to more than seven million passengers by 2018, the project’s estimated date of completion, he said. Some 1.2 million tourists visited the country last year. In his remarks last night, Economic Development Minister Mohamed Saeed said tourism revenue will grow to US$4.9 billion by the end of Yameen’s five-year term on the back of the airport expansion and the opening of 50 new resorts. 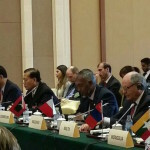 At an occupancy rate of 65 percent, Saeed said the Maldives’ lucrative tourism industry currently earns US$3.2 billion a year. The Maldives will be able to repay its foreign debt with new revenue generated as a result of the infrastructure development projects, he said. Yameen had also expressed confidence that returns from the airport will be high enough to compensate Indian infrastructure giant GMR. The Indian developer is seeking nearly US$1 billion in damages after a Singaporean arbitration tribunal ruled last year that the government had “wrongfully” terminated a “valid and binding” concession agreement in December 2012. 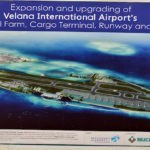 The awarding of the terminal project also comes after the World Bank warned that the Maldives faces a high risk of external debt distress owing to the current administration’s large-scale infrastructure projects, including the airport expansion. Yameen has visited Saudi Arabia thrice while then-Crown Prince Salman bin Abdulaziz al-Saud visited the Maldives in February 2014. The Saudi Binladin Group is the Middle East’s largest construction firm and an important ally of the kingdom’s royal family. The group’s current projects include the 1km Jeddah Tower, designed to be world’s tallest building, and the expansion of the Masjid al-Ḥarām complex in Mecca. However, SBG is reportedly struggling with losses amounting to billions after a crane collapse at the Grand Mosque last September killed more than 100 people. The Saudi authorities blamed the accident on the company’s failure to erect the crane according to the manufacturer’s instructions and suspended new contracts with SBG. The company’s top executives were prohibited from leaving the country. SBG has since laid off nearly 70,000 workers, sparking protests by employees angered by months of unpaid wages. Earlier this month, the group reportedly asked its 17,000 Saudi staff to either resign or wait for delayed payments. 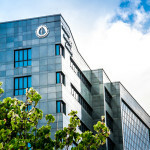 Citing regional and international bankers, the Wall Street Journal reported in March that SBG was saddled with more than US$30 billion in debt. The company was founded in 1931 by Sheikh Mohamed Bin Ladin, father of Osama Bin Ladin. The former al-Qaeda leader owned shares in the company until he was disowned by the Bin Ladin family in 1993.